This horizontal histogram plots membership statistics as well as number of Twitter followers ordered by the most populous groups. The plot below shows 5 different key statistics. On the x-axis, the groups are plotted in the order in which they were founded. The year of founding is shown below the group name. We can see there is a correlation between number of members and twitter followers for each group (upper two lines). The two lines representing number of chapters and countries for each group are the lower two lines. Both Girl Develop It and Write/Speak/Code are only represented in the United States. Aside from the US-only groups, for the other 4 groups, we can see a relationship between number of chapters and number of countries represented. R-Ladies is the most broadly present group. They have 120 chapters in 40 countries. The majority of these organizations are led by volunteers. Almost all chapter events are organized by volunteers. These groups have worked diligently to build and support their communities. Please do not reach out to these organizations for unpaid marketing. We support diversity. Can you promote our [product / organization / event / job posting]? We support diversity. Can you share our [event / product]? We will share your logo in return. 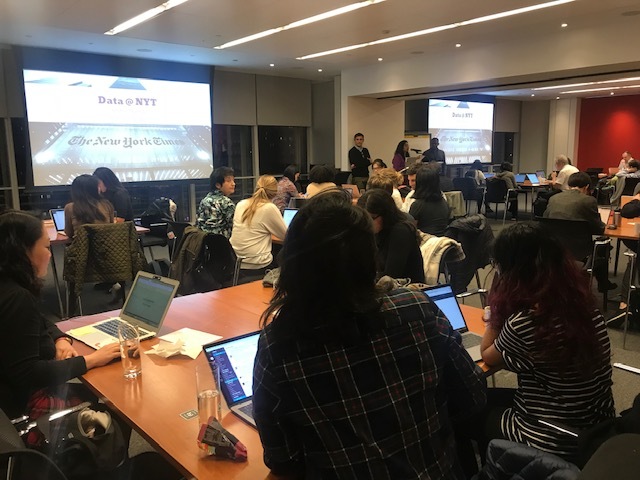 We want to help women in data science. Can I drop into your next event to do a 10-minute pitch on our [for-profit program]? Support them by making a monetary contribution and building an authentic business partnership. Membership: some of the organizations are open solely to women and gender minorities. Others are open to male allies. Be informed and respectful of their membership requirements before joining. These meetup groups are for women in tech/coding/analytics. These organizations are not for meeting women to date. Anyone who contacts a meetup member for a dating proposition will be removed and blocked from the group. The statistics represented were updated November 2018. Google spreadsheets were utilized to store the data. Google Data Studio to produce the visualizations. © 2019 Reshama. Powered by Jekyll & Minimal Mistakes.